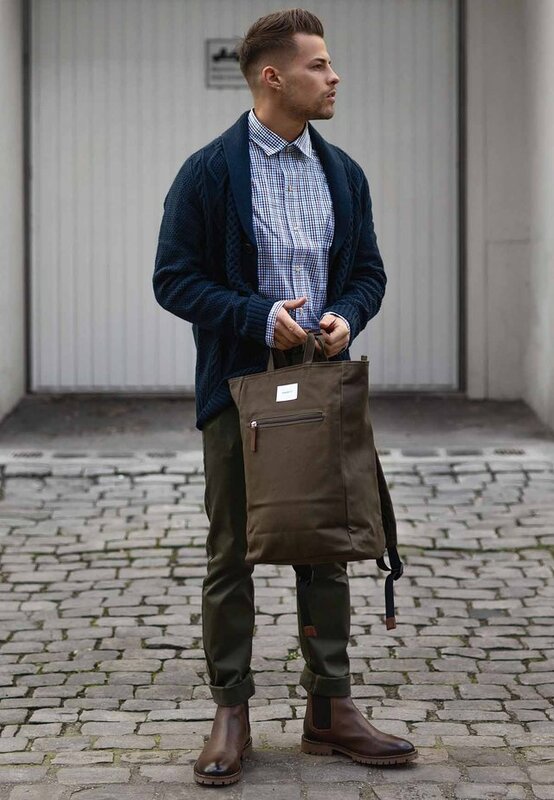 Combining utility with quirky urban style, Sandqvist is a Swedish brand, founded in 2004. Inspired by the Nordic landscape meeting a faster paced city lifestyle, Sandqvist designs are uncomplicated, functional and beautiful, with a clearly Swedish heritage. Sandqvist embodies the true vibes of Scandinavian fashion culture, with a minimal approach to design that radiates a cool yet nonchalant attitude. Perfect for creating a hipster fashion look, wear a Sandqvist backpack with a checked shirt and slim fit jeans, finished with pointed toe ankle boots, for a casual look with a premium edge. Keep it simple in neutral shades like black and navy, or add a twist to your style with bright fashion colours like bold teal and sunshine yellow. High quality materials make Sandqvist as luxury as it is functional - the finest leathers and cotton canvas go into every bag, with an unparalleled attention to detail in the design and craftsmanship. We love Sandqvist briefcases, for formal business style but with that Scandi cool vibe - it's all in the details, with softer edges and plush, quality leather. Team them with a quirkier work wear look, wearing a light grey suit with a white shirt and brown brogues, or for dressed down office style go for a polo shirt and men's chinos.